We buy gold, silver, diamonds & coins! Rings including class rings and wedding bands. Pendants, charms, brooches and pins. Earrings - single or a complete pair. Broken, tangled or incomplete jewelry welcome. 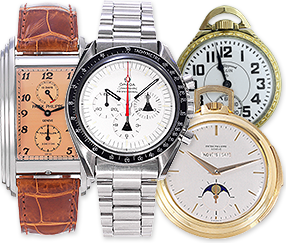 Breitling, Cartier, Chanel, Omega, Patek Philippe, Rolex and any other luxury watch - working or non-working. Any gold or platinum watch no matter the brand or condition. Dollar coins dated 1935 and earlier including Morgan and Peace Dollars. 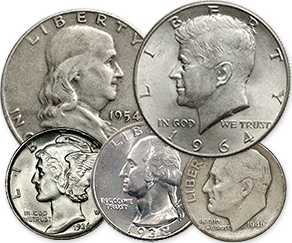 Fifty-cent coins dated 1964 and earlier, including Kennedy and Franklin half dollars. Dimes and quarters dated 1964 and earlier. Worn-out and tarnished coins are welcome. Older coins such as Liberty & Indian dollars. Coins and bullion from Canada, Australia, South Africa and other foriegn countries. 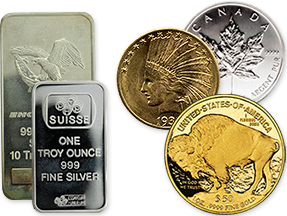 Gold, silver and platinum bars from private refiners. 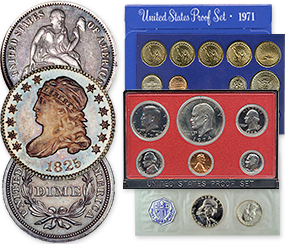 Rare and collectable US coins. PCGS and NGC certified coins welcome. Proof and Mint Sets from the US Mint. Sterling silverware including knives, forks, spoons, ladles, etc. 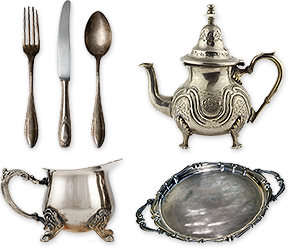 Sterling silver tea pots, trays, cups and saucers, plates, candelabras, etc. Tarnished, damaged or incomplete sets are welcome. Sterling silver bells, baby rattles, and picture frames. Dental gold including crowns and grills. Anything else made of gold, silver or platinum. At 650-GOLD, there's never any questionable checks you'll need to cash, high-pressure salespeople, or sleazy tactics. 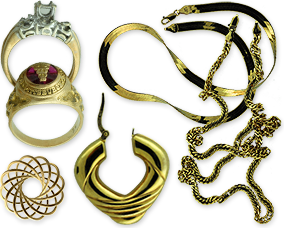 Simply bring your unwanted jewelry, silverware or coins to 650-GOLD's convenient Northeast Ohio location. 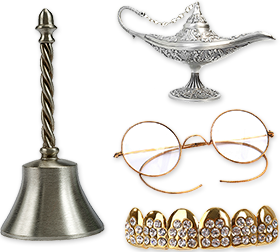 We'll examine your items right in front of you and quote you a fair, honest price. If you accept our offer, you'll walk away with cash in hand - and the satisfaction of having been treated with the respect you deserve. After all, you treat others with honesty and respect, and now that you're in need of some extra money, you deserve to be treated the same way. Stop by our convenient location today, or call 216-650-GOLD to speak to one of our friendly buyers. When Lynn Kolodka decided to sell a ring she hadn't worn in years, she thought she might get a couple hundred dollars for it. Then she took it to 650-GOLD, and discovered its real value. 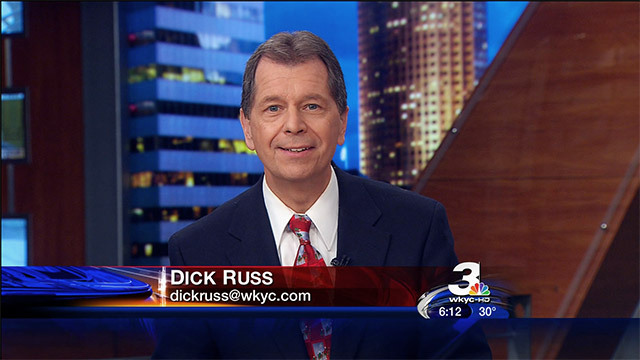 Click the play button above to watch Channel 3's story.